I bloody love a good rumage in Home Bargains and this is where I picked up my current facial moisturiser. 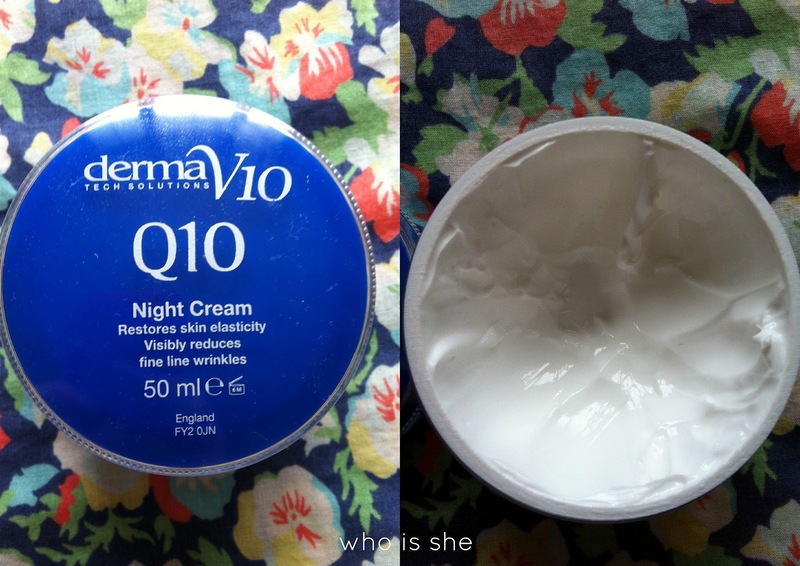 I'm already a fan of the Derma V10 eyecream and you will have seen it mentioned in monthly favourites however I'm still on the fence about this face cream. Normally with products I don't like I either pass it on to friends or family or it gets binned. However as I'm on a right little mission at the moment to use beauty products up before buying new items, I'm making it my mission to use this right until the end. For £1.99 you actually get a large tub (50ml) of product which is excellent value for money, and as the product is very thick, you only need a little bit to cover your entire face. Even though its thick I do find that it absorbs straight into my skin and it does do the job. However now and again before going to bed I can never be bothered to properly moisturise my legs and this can be a bit of a pain as on my right shin I have a patch of cracked/dry skin which always picks up when I fake tan unless I constantly slap the old Hawaiian Tropic on it. Recently I've been testing this out on the patch on my leg and its made one hell of a difference- the dry skin has vanished and as I type this with fake tan on my legs I can hand on heart say that the fake tan has gone on smoothly and there is no trace of this. I need to do the same as you and use all products before I buy new - but I'm always tempted!! ohh ive got this but just havent got round to using it. i too have a patch on my leg thats just always dry, shall be giving this a go on it!